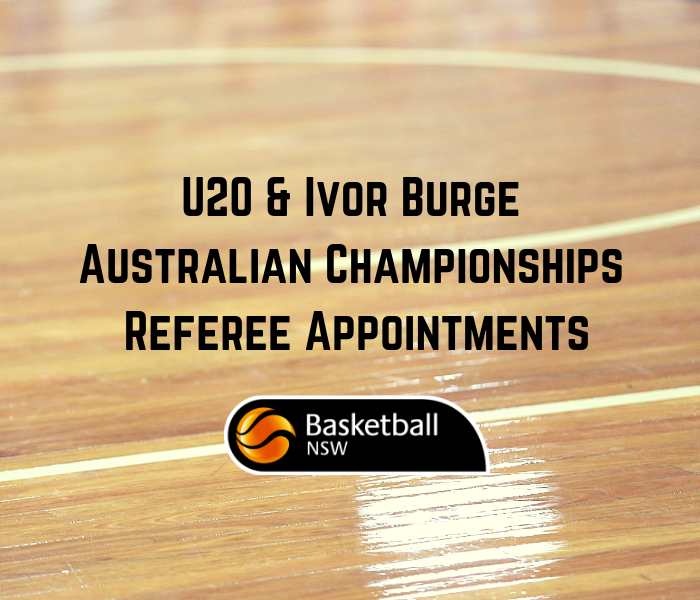 Basketball New South Wales is pleased to announce the seven NSW officials, who have been chosen to officiate the 2019 U20 & Ivor Burge Australian Championships hosted by Basketball Australia in February. The 2019 U20 & Ivor Burge Australian Championships will be held from the 12th-17th of February at Basketball Australia’s Centre of Excellence, Canberra. New South Wales officials will be well represented at the tournament with both Metropolitan & Country Associations officials being selected for the distinguished event. Basketball New South Wales would like to congratulate the following individuals on their appointments. We wish each and every official the best of luck in the tournament.